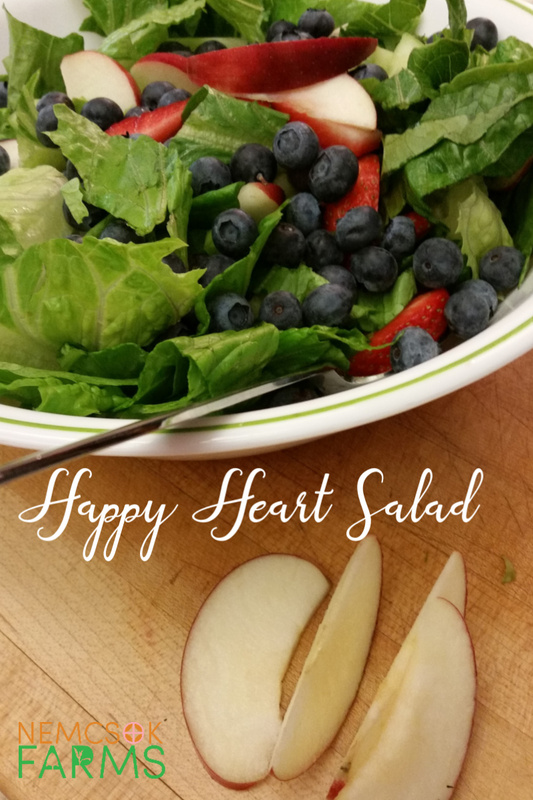 Sometimes, I like to throw a little bit of fruit into a regular salad – it makes it a little extra special, and it’s like a little dash of happiness – which is always a nice touch in the middle of winter. 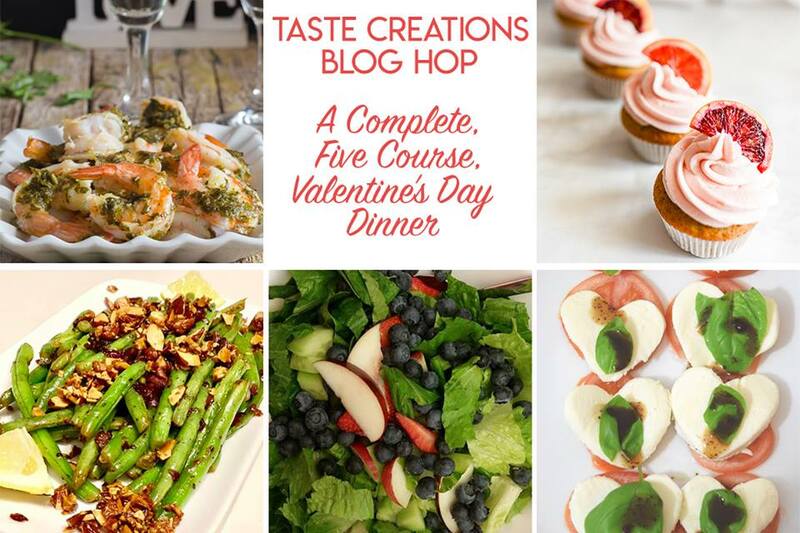 Make this Valentine’s Day Salad as part of your five course Valentine’s Day Meal. 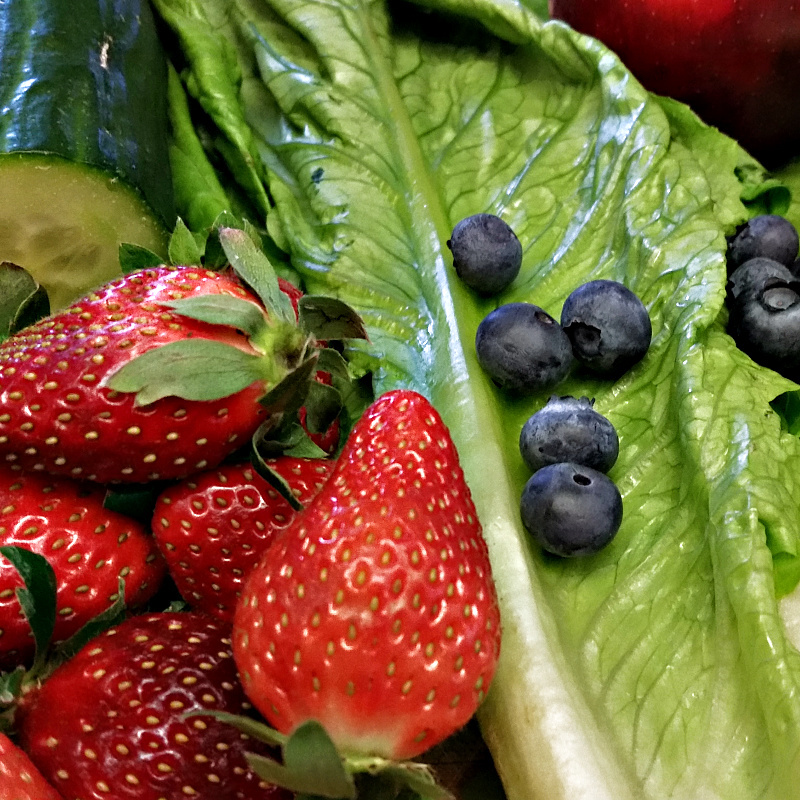 Crisp greens and juicy berries are just what you need this Valentine’s Day. 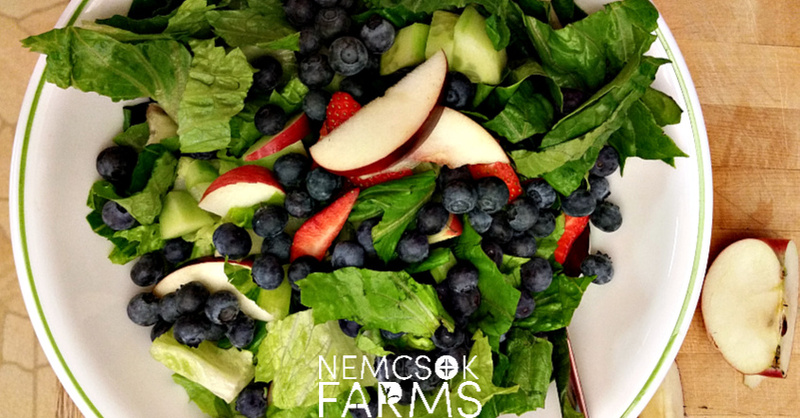 The fresh berries are all the dressing this salad needs. Wash and chop the lettuce, celery and cucumbers. Slice the strawberries into halves, or little heart shapes. Mix into a large serving bowl, and add the blueberries. Check out our uber-popular Mac & Cheese and our Ham and Potato Chowder recipes, you can serve them up year round!